If you are a video up loader in Instagram, there’s good news for you. Instagram announced that Instagram to add Video Counts very soon and this feature which will display the number of times your video has been watched by the viewers. For those of you who are on YouTube and Vine, you might have already experienced using it in those platforms. But now that the Instagram is going to make it available for its users, we can assume users to switch to Instagram from other platforms. Don’t Miss: How to add Multiple Accounts in Instagram ? Although Instagram is known for its photographic community, the app also hosts a decent number of great video up loaders. This in fact forced the Instagram to launch apps like Boomerang and Hyperlapse. While Hyperlapse helps you to stabilize your videos, Boomerang repeats a sequence of events again and again like a GIF image. 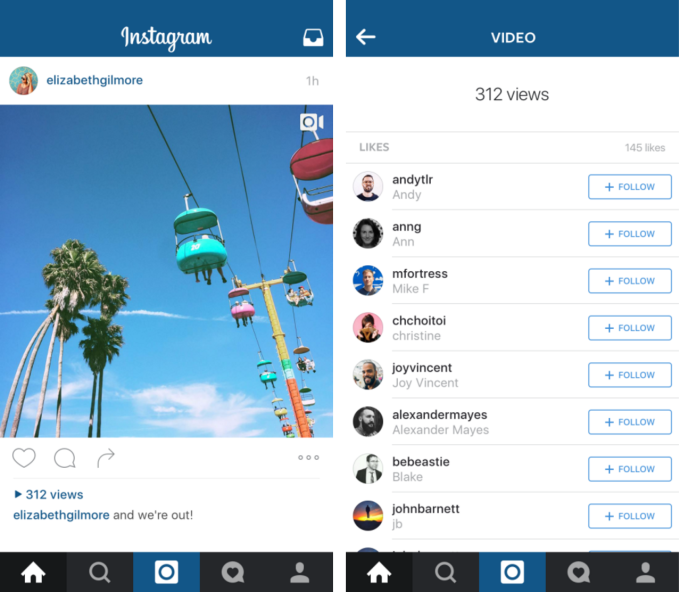 The addition of video counts in Instagram might attract more Ad Services in Instagram. At the same time, this feature will also add Instagram in the list of competitors with leading Video Services such as YouTube and Vine. Instagram’s Parent company Facebook is equipped already with the Video Count feature. In Facebook, a 3 second view of any video adds a count to your video. Once this feature is available in your Instagram app, you will be able to view the count by tapping “Views”. A large section of users in Instagram have been longing to have this feature in the app. At the end of the day, integration of this feature in the app is likely to stir up a contest between Twitter-owned Vine and Facebook-owned Instagram. Let us know in your comments on what you think about the Video Count feature in Instagram.